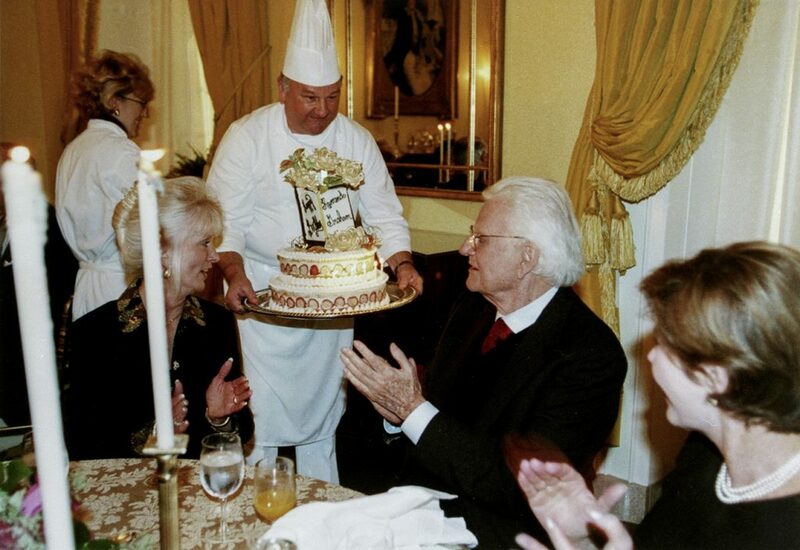 Billy Graham Trivia: Which U.S. President Once Held a Birthday Party for Him at the White House? 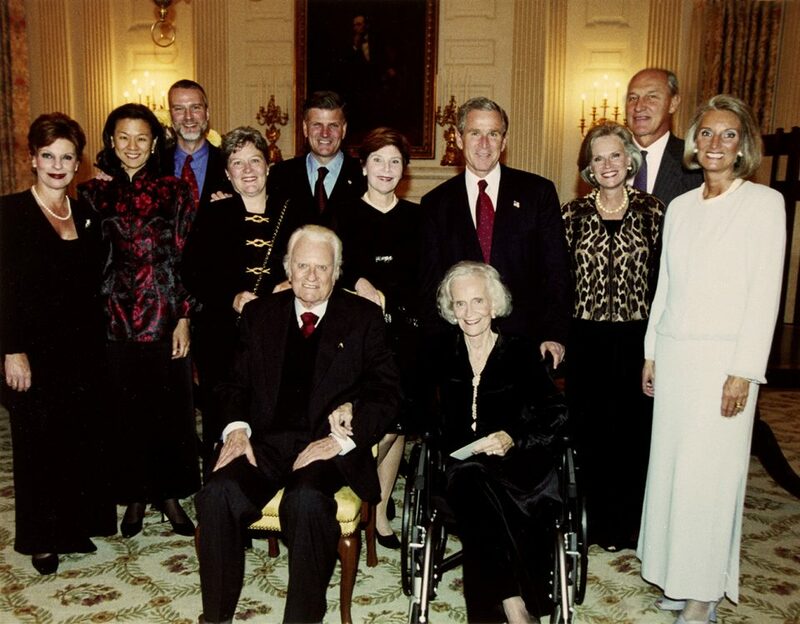 In 2001, President and Mrs. George W. Bush invited Billy and Ruth Graham to the White House for Billy Graham's birthday dinner. It was two months after the September 11th terror attacks, during which time the president had called on Mr. Graham to offer hope and comfort to a devastated nation. Those those who attended the small birthday gathering said it was a simple, quiet event. President Bush offered the dinner prayer. Q: Which U.S. president once held a birthday party for Billy Graham at the White House? In November 2001, President George W. Bush invited Billy Graham and his immediate family to the White House for a quiet birthday dinner. The president offered the prayer before the meal was served. Less than two months earlier, the country had been shaken by the 9/11 terrorist attacks, during which time the president called on Billy Graham to offer hope and comfort to the nation. The birthday gathering was small and intimate and included Billy and Ruth Graham’s five children and their spouses. President George W. Bush and Mrs. Laura Bush invited the Graham family to the White House for Billy Graham’s 83rd birthday. Mr. Graham was a friend and spiritual advisor to several presidents, and he shared a special bond with President George W. Bush, who credited the evangelist with changing his life. When Mr. Graham passed away in February, the former president and his wife made a special trip to Charlotte, North Carolina, to pay their respects. 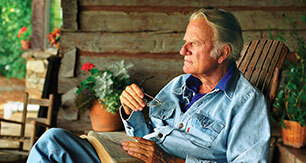 “If there’s such a thing as a humble shepherd of the Lord, Billy Graham is that person. I am unbelievably blessed to have met him,” President Bush said. 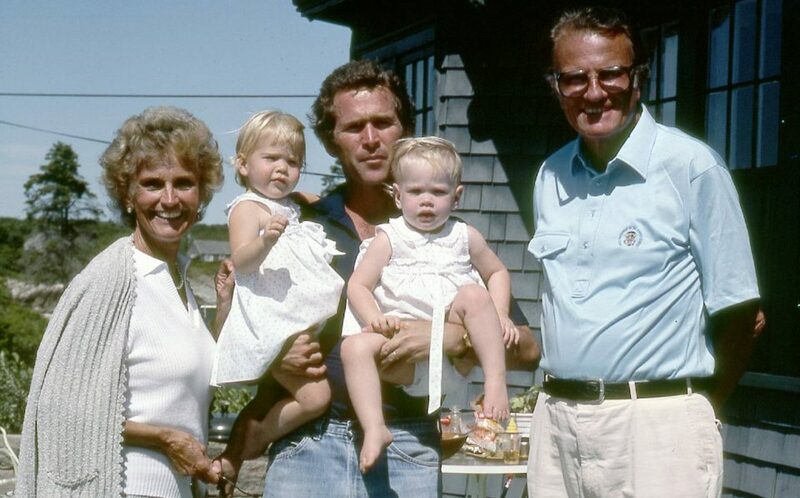 The friendship between the Graham and Bush families went back many years. Here, Ruth and Billy Graham spend time with George W. Bush and his twin daughters.